Definitely a conversation starter in the shoppes! Black (or pink or white/cream) Cotton Grocery Bags. 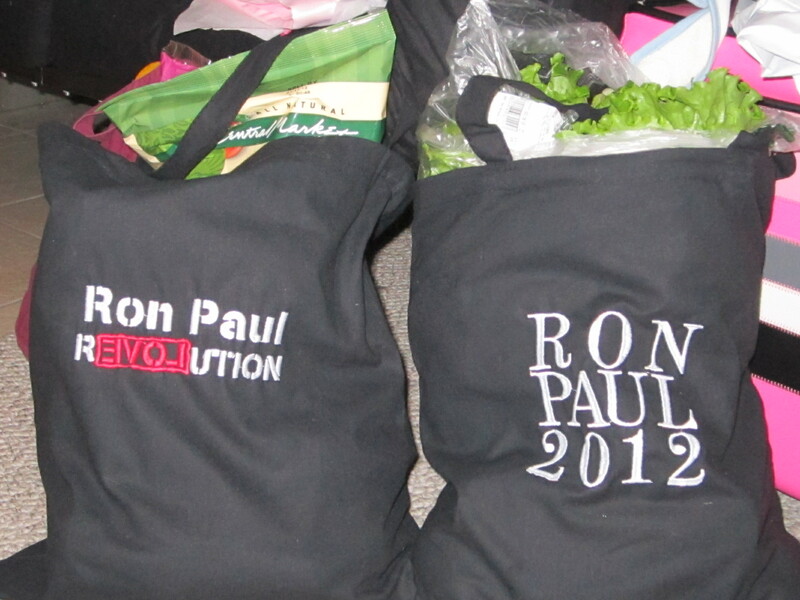 Embroidered with RON PAUL 2012, and Ron Paul R3VOLUTION. I don’t sell these, but you can have one if you pay SHIPPING- and pledge $$ to RonPaul2012 campaign!